Award-winning BBC television and radio presenter Dianne Oxberry has died from cancer aged 51, her family has confirmed. She died at the Christie hospital in Manchester on Thursday morning. 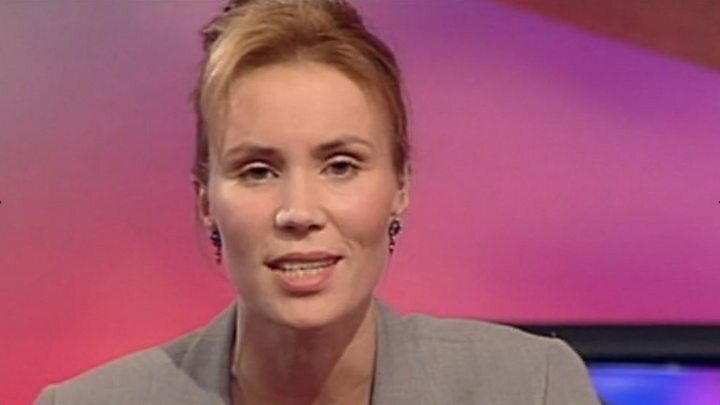 After studying meteorology, she joined BBC North West Tonight in 1994 as a weather presenter and fronted Inside Out North West's current affairs show. BBC North West Tonight (NWT) presenters Roger Johnson and Annabel Tiffin said they were "heartbroken". The couple, who have two young children, met in Manchester while she was co-presenting the Saturday morning children's television show, The 8:15 From Manchester. Mr Hindle said: "Dianne was an amazing wife and mother who embraced life to the full. Oxberry recently took part in a 100-mile relay walk for Children in Need completing the challenge with her NWT colleagues. Roger Johnson said: "We are heartbroken by Dianne's death. It is almost impossible to comprehend. Dianne was North West Tonight. It's hard to imagine the programme without her. "Our thoughts are with Ian and all of Dianne's family. We hope they will find some comfort in the knowledge so many people loved Dianne and will miss her terribly." Tiffin added: "Di was so talented, so beautiful, so funny and so full of life. On screen she was a star, radiating warmth and good humour. Off screen, she was a wonderful colleague, a loyal friend and I will miss her terribly." BBC radio presenter Simon Mayo said: "There was a spark in the studio when she was there and I think everyone is very devastated that she has gone. "She was very intelligent, she was very sharp and very charismatic and that huge warmth is what listeners and viewers will take away. "A lot of people on Twitter this morning were saying they grew up with Dianne, they felt as if they knew her and she was the friend on the radio and the television and you can't say better than that." Manchester poet Lemn Sissay tweeted a poem about Oxberry and Elbow singer Guy Garvey shared his memories of working with her as tributes poured in on social media. Broadcaster Clare Balding said Oxberry was "a courageous warrior on behalf of women fighting for equality", adding: "Her star will shine on." Football pundit Mark Lawrenson tweeted that he was "stunned". "I've worked with Ian Hindle, her husband on many occasions and my thoughts are with him and the kids... RIP." In an emotional interview on BBC Radio Manchester, Johnson quoted comedian Peter Kay, who invaded her live forecasts on a few occasions, once hugging her and telling her: "God love Dianne Oxberry - you made the sun shine for everybody!"